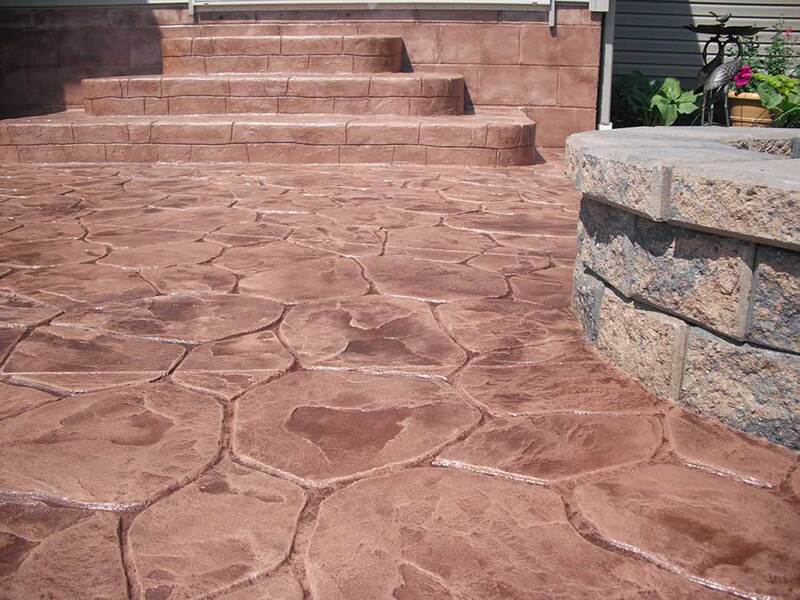 Crafted concrete surfaces with cobblestone, granite, flagstone, slate, brick, tile patterns finished with a custom color to match your home and outdoor decor. 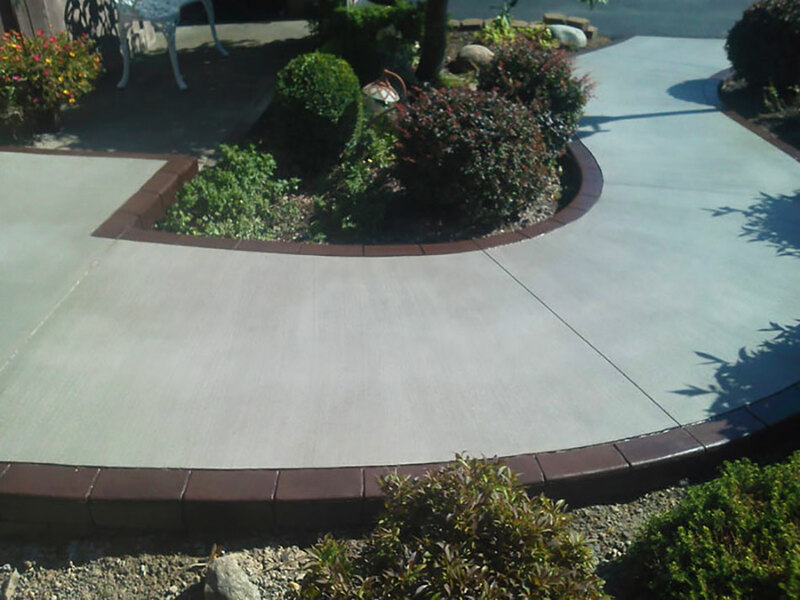 Broom finished concrete is a textured finish that offers traditional concrete look, and can be colored or stained for a personalized, unique appearance. 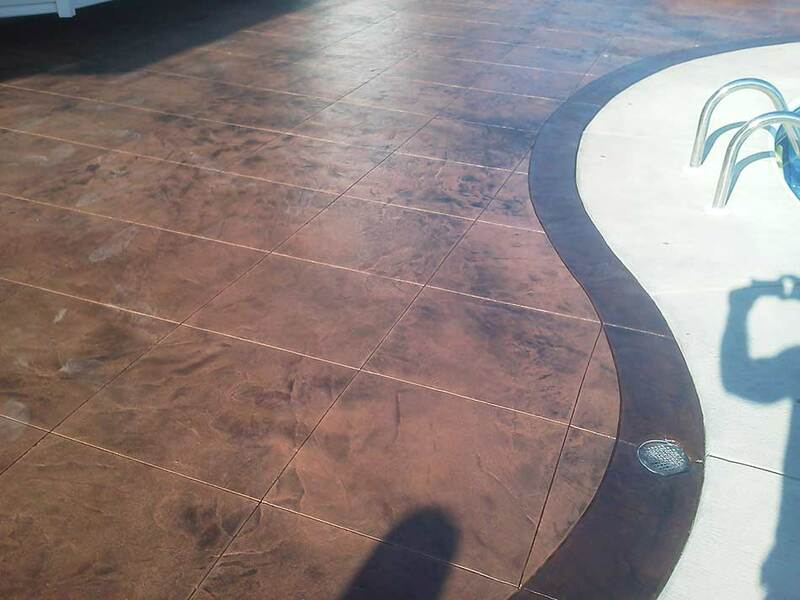 Acid Staining gives concrete a mottled, variegated, marble-like look that creates beautiful color patterns on concrete surfaces, mostly earth tone browns, reddish browns and greens.